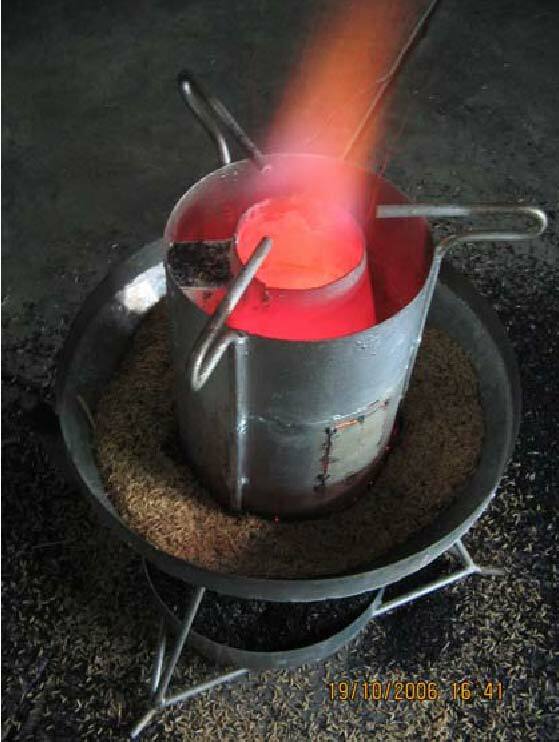 During operation, rice husk fuel is ignited inside the combustion chamber using few pieces of paper. The water inside the steam tank is heated until it becomes super-heated steam. As the steam passes through the burner, hydrogen gas is released and is ignited inside the burner. A luminous pinkish-to- yellow flame is obtained from the burner during cooking. Burnt rice husk is discharged at the bottom of the grate by slightly pushing the lever. Disposal of char is made easy by using a pan. 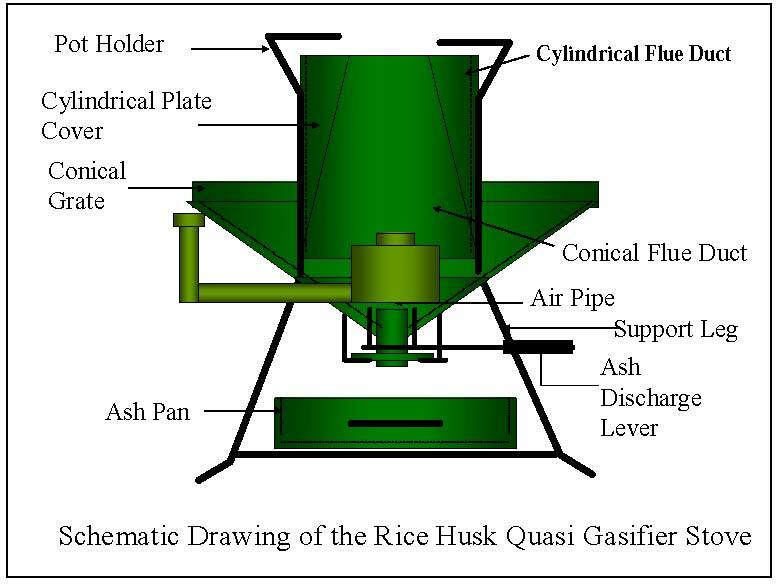 The degree of burning of rice husk is controlled by regulating the amount of fuel being fed in the combustion chamber. The amount of steam can be regulated by adjusting the relief valve located at the side of the steam tank. Performance evaluation showed that the stove has a power output of 5.5 kW. It consumes 10.2 kg of rice husk per hour. Firing the stove only requires 1.2 min. using few pieces of papers. Five liters of water can provide steam into the burner for 1 hour and 30 minutes before reloading. 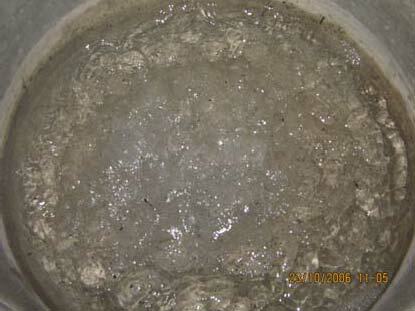 Test also showed that 12.5 liters of water can be boiled within 15 minutes. 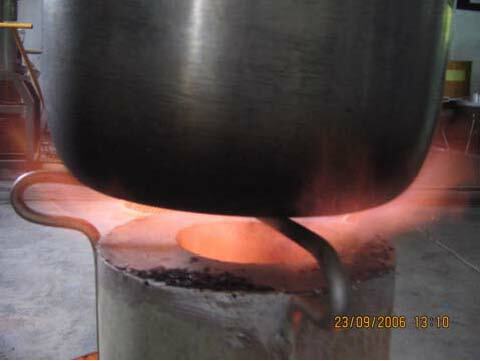 The average thermal efficiency of the stove during the tests is 15.2%. Burning rate is 38.2 kg/hr-m2 while the amount of char produced is 25%. The stove has the advantage compared with other rice husk stoves in terms of the minimal amount of hydrocarbon released during burning, high efficiency in heat utilized, ease of ignition and firing, and less cost of operation. Commercial models using stainless steel liner for steam burner is P15,000.00 per unit for model 30D while P20,000.00 per unit for model 40D. Interested organizations or individuals who wish to adopt this technology may contact the Project Director, Appropriate Technology Center, Department of Agricultural Engineering and Environmental Management, College of Agriculture, Central Philippine University, Iloilo City, Philippines. Our landline is 063-033-3291971 loc 1071. You can also send email to cpu_aprotech@yahoo.com . Good day and God bless!! !